There are three types of boats going back and forth between Coron and El Nido. You can read more information on each (and see their schedules) here. When you arrive at the El Nido Port, you will disembark and collect your baggage. To get to town you can take a “tricycle” (a retrofitted scooter with a sidecar that can seat up to 4) into downtown El Nido. This is the main mode of transportation in El Nido. The trip is about 3-5 minutes and costs 50 pesos. Ask the tricycle driver to drop you off at Caalan Beach Reception, our reception desk in downtown El Nido. Caalan Beach Reception is on Calle Hama, the main street in downtown El Nido. Calle Hama runs along the beach and has a number of resorts on it, such as El Nido Beach Hotel, Rossanas Cottages and Entalula Beach Cottages. 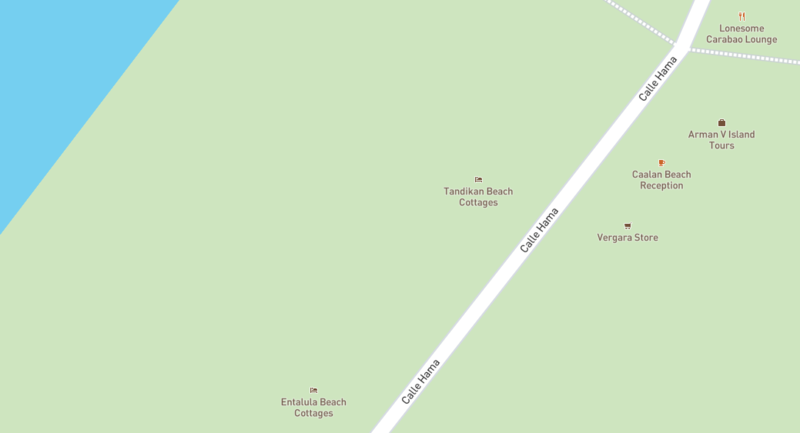 The reception desk is across the street from Entalula Beach Cottages and Tandikan Beach Cottages. Our reception desk will call us at the resort, so that we can pick you up in our tricycle! Once we pick you up from our cafe/reception desk, our workers will load your luggage in our tricycle, and then drive you to our resort (no charge). Please note that there is a narrow alleyway between downtown El Nido and Caalan Beach, where we are located. 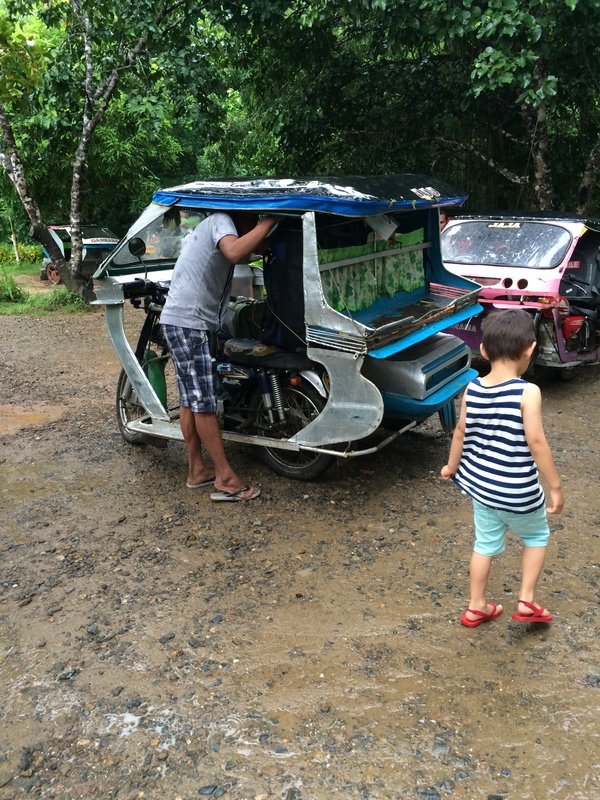 Motorcycles and small tricycles (such as our resort tricycles) have no problem fitting through it, but most tricycles and cars can not. It’s a short ride (about 5 minutes); we recorded a time-lapsed video of the trip, to give you a sense for how it works. If you would rather walk the path to our resort, you can just go north along an access road, past an oceanfront bar to your right (El Nido Corner), past the Barangay hall to your left, past a cemetery to your left, and then past a number of resorts on your left and right. It’s about a 15-minute walk.